In this week’s photo challenge, “Boundaries,” Ben Huberman posted a photo of a security rail on a ferry ship with the waters of the Strait of Georgia behind it. He noted that boundaries are “there to stop us from doing or saying what we actually want to. But they also give structure to our actions and frame our movements. In photography, they help our eyes make sense of what we see and convey a sense of visual narrative. They constantly invite us to push against them.” He then invited us to share our take on boundaries. For those of you who saw this picture earlier this week in my post about our trip to Sawtooth National Forest, my apologies. However, most of you didn’t see it, so I get to indulge myself and share this stunner again. 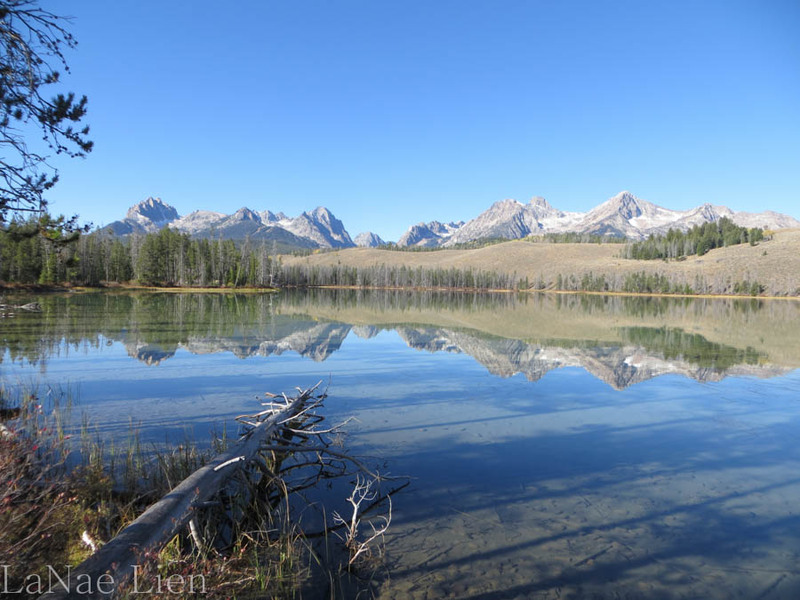 In this picture the Sawtooth mountain range is reflected in Little Redfish Lake. My first impression? No boundaries. The sky, mountains and lake are vast. But, then my eye is drawn back to those mountains. Ragged, jagged…establishing a boundary that dares you to attempt to cross it. “C’mon, sucker…hike ME!” The Sawtooth range has at least 50 peaks over 10,000 feet high. If that’s not a boundary I don’t know what is. That is definitely a boundary and what a boundary! ← Let’s talk about a favorite topic: FOOD!